I’ve always had a soft spot of Steak ‘n Shake, as the archive will attest. One of my very first reviews was of a couple of their Steakburgers. I’ve been there a couple times lately and I wanted to cover some ground, so I’m grouping a couple of their entrees together for this one. Honestly, more of a cheeseburger than a grilled cheese anyway. 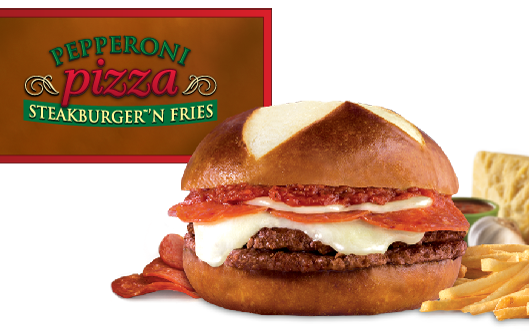 The kind of burger you bring home to meet your parents. 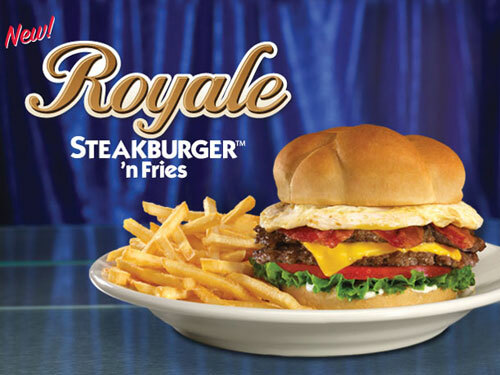 Next on the slate is the Royale Steakburger. A holdover from their regionally-inspired burgers, the Royale takes a deluxe steakburger with all the fixins (bacon, American cheese, lettuce, tomato, mayo) and tops it with a fried egg. I’m a fan of clever use of eggs, and the quality of the fried egg was surprisingly good. A new sauce might’ve helped set it apart from other burgers a little bit, but it’s certainly a passable entry into the Steak ‘n Shake menu. 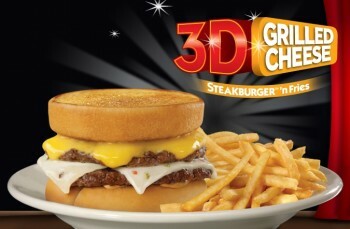 The darkhorse of my Steak ‘n Shake trips. 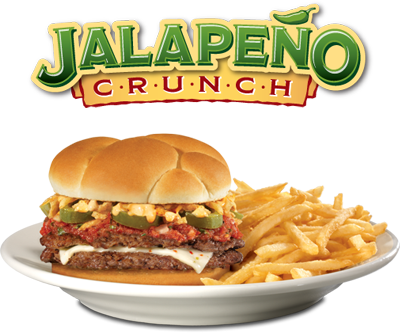 Last, but certainly not least, is the new Jalapeno Crunch Steakburger. This burger adds Pepperjack cheese, jalapenos slices, salsa, chipotle mayo, and fried onions. I’m generally not a fan of sandwiches which are hot for heat’s sake. This one isn’t. The onions and mayo cut the heat, leaving the flavor of the jalapenos and salsa intact. The burger has a full flavor on par with the Western BBQ and Bacon (Steak ‘n Shake’s masterpiece). I was actually a little bit sad when I finished it. Definitely one of my new favorites. All of these burgers are about $5 with fries. 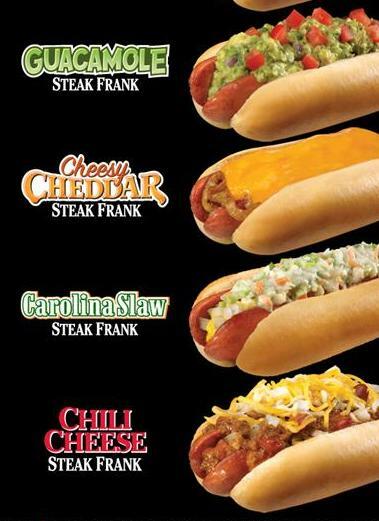 You can try whichever ones you like, but I highly, HIGHLY recommend the Jalapeno Crunch. Hopefully it’ll evolve into a permanent menu item, but don’t risk it.